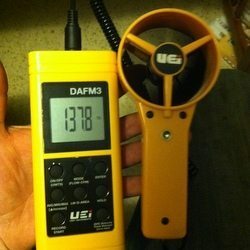 During a dryer vent cleaning a vane anemometer is used to take a before and after airflow reading of the dryer vent. By taking this reading our technicians can determine if the vent needs cleaning at the next annual inspection. A number of factors will determine how often your dryer vent should be cleaned. Longer than normal drying times is a sign the vent is clogged. Most dryer vents should be cleaned out at least every two years. 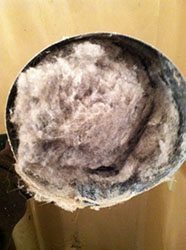 The length of the dryer vent, number of people in the home, and number of pets may lead to more frequent dryer vent cleanings. 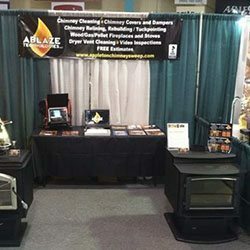 Get instant rebates when you exchange your old wood-burning hydronic heater or stove with a newer energy-efficient appliance. Exchanging out your old heating appliance will help protect our clean air, and the new appliance will be cheaper to operate. 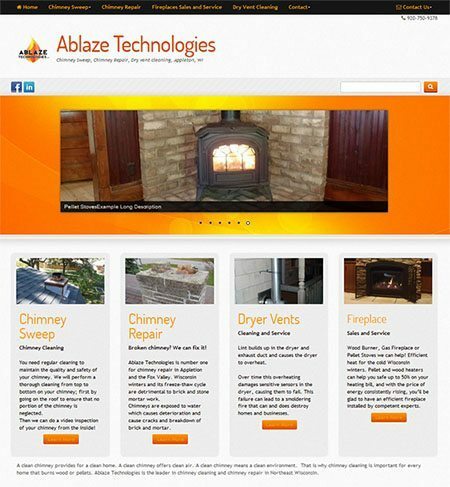 Ablaze Technologies has launched a new website. With more features, more ways to contact us and viewable on any phone tablet or computer!